J had the idea to get up on Saturday morning and head to Bronson Park for The BIg Latch On. I’ve made it no secret that I like my sleep on Saturday morning, but I also love spending time with my family, so I got up to go with them. After the event was over, L wanted to play in the park for a little while and run around with the other kids. In the almost four years I’ve been in Kalamazoo, I don’t think I’ve spent any significant time at Bronson Park and I was just kinda noticing some of the beautiful buildings surrounding the green space that make it a pretty neat feature in downtown. Once we had enough running around, J wanted to make a quick stop at Gazelle Sports to pick up some new running shoes. Turns out, I did most of the running as L didn’t get all of her energy out at the park and wanted to run around the store while Mommy was trying on shoes. J found a pair she liked and we started to head back towards the car which was parked near Farmers Alley Theatre. 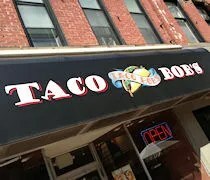 On the way, J asked if I wanted to stop at Taco Bob’s for lunch. It was on the way and quick which worked out great because we had one more event we wanted to stop at. 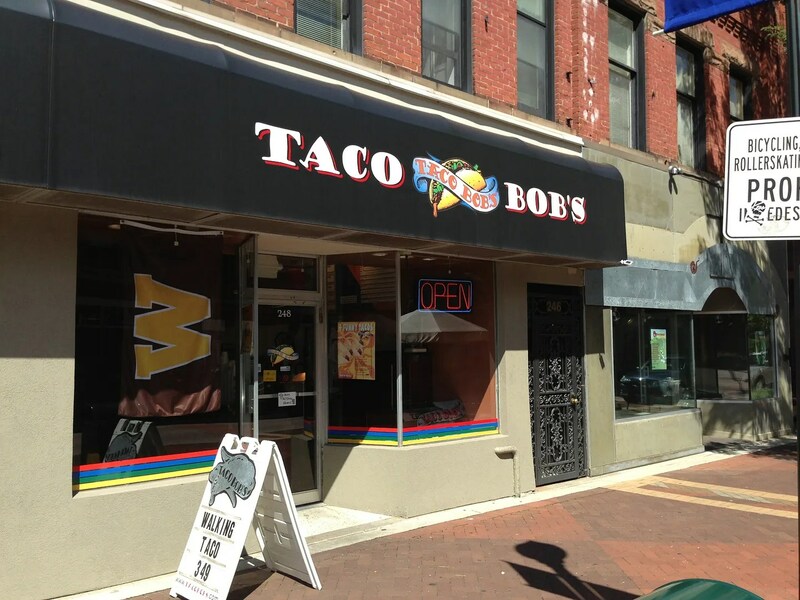 The Taco Bob’s downtown location is on the Kalamazoo Mall in what I’m told is the old Blimpy’s building right next to the ??? right near the corner with South Street. The two story building is surprising big once you get inside. We weren’t really sure if we’d be able to eat there or not, but seeing two surprisingly big dining rooms was a pleasant surprise. While this was our first trip to the downtown location, we have eaten at the Portage Road, Oshtemo, and Centre Street locations in the past. We’ve always had quality food so we had no reason to suspect anything different from this shop. I decided just to stick to tacos. I wasn’t really in the mood for anything else, so I ordered four hard shell tacos and a large drink. I was very happy to see they had a Pepsi machine behind me and I took advantage of that large Styrofoam cup. L got a cheese quesadilla and J ordered two hard shell tacos and a tostado plus a large drink of her own. The total was a little under twenty bucks and by the time we filled up our cups, the food was being put on a tray for us to take to a table. I headed to the upstairs dining room because they have regular size tables and a couple high chairs while the lower dining room was more pub tables. J followed close behind me with the tray of food. I took the lid of a cup of hot sauce and dumped all over my plate of tacos. 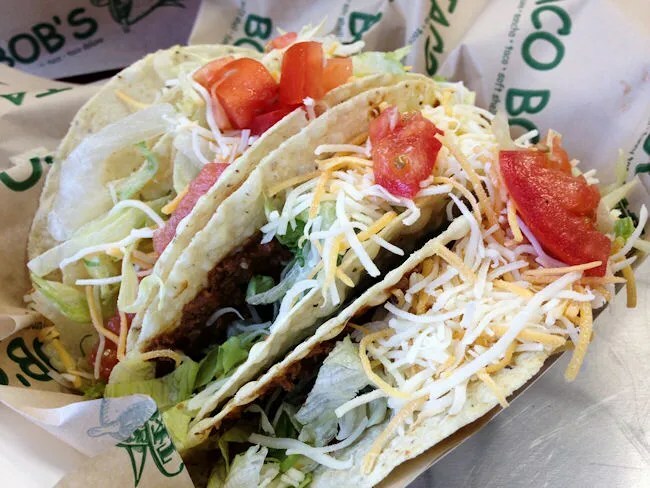 The four hard shell tortillas come filled with a slightly salty, Mexican spiced meat topped with lettuce, cheese, and chunks of tomatoes. I’m not a big tomato guy so I pushed them off. Other than that, my tacos were pretty yummy and the four did the trick of filling me up for lunch. L really seemed to enjoy her quesadilla. She picked up the cheesy parts of the filled flour tortilla and went to town. Sometimes she’ll take a few bites of something and set it down, but with this one, she could not have ate it any better. She actually ended up being the last one done. I saved J’s meal for last because it turned out to be the mood killer. J and I were just talked about how fresh everything seemed compared to the competition. 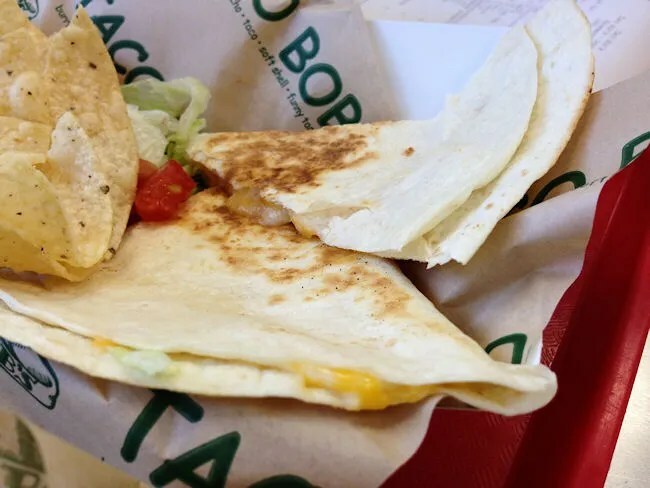 The shell’s didn’t taste stale and the lettuce had that fresh, crisp bite to it. Unfortunately, not long after saying that, I looked at J who got a really sick look on her face as she pulled a long hair out of the bottom of one of her tacos. She didn’t make a big deal about it, but as you can imagine, it was an appetite killer. She started to reach for her fork and just eat the tostada, but couldn’t even do that. I offered one of my tacos, but by that time it was too late. She let L and I finish our lunch then we just headed out. It’s a bummer how one little thing can kill the mood of what otherwise would have been a pretty good lunch. Up until J took a bite of that taco, we were really enjoying lunch, but it was a mood killer. I believe in second chances when it comes to restaurants because mistakes happen, but I can never guarantee we can get that initial problem.